A palm-sized LED illuminated microscope that lets you explore the small details of the world around you. This is truly the easiest to use, most compelling, and monstrously fun scope you can get into pint-sized hands.This one will change your world. 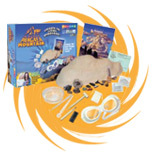 This exciting kit includes a story told through two children, Rocky and Crystal, and a charming professor, G.O. Stone.Contains 15 gems or fossils as well as the “Living Dinosaur” Triops. 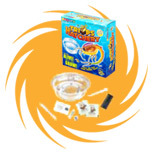 Just fill the hatching dish with bottle spring water, add your gravel and eggs, and watch your Triops come alive. 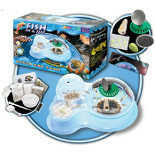 Transfer your growing Triops to the bean-shaped tank to observe them grow rapidly up to 2 inches long! 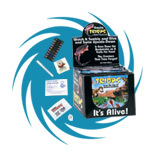 The complete suite – everything you need to launch your journey into the world of Triassic Triops. Hatch, grow, observe, experiment and document these ages-old creatures that breathe through their feet and swim upside down. 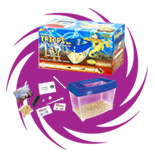 This kit contains everything you need to grow 2 or more cycles of Triassic Triops. It’s a perfect starter kit or a refill for our larger kits. This kit contains enough eggs to hatch 5 cycles. 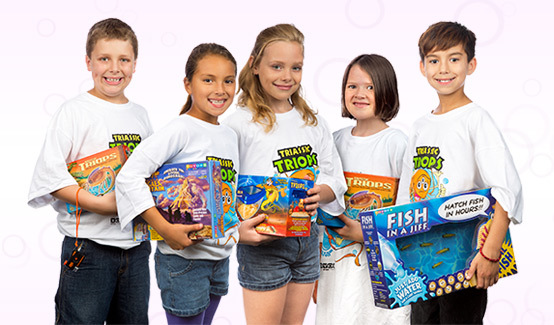 Just fill your hatchery with bottle spring water, tap in a few Triassic Triops eggs, and step into adventure learning about these ancient creatures.Contains 100 eggs. 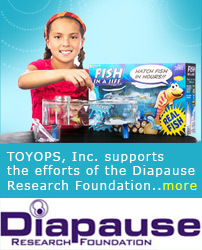 We designed Triops Play Park with three new species of Triops. 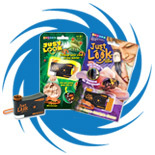 Kit allows children to watch the life cycle of these fascinating creatures that "Time Forgot". 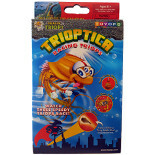 This kit contains everything you need to grow Trioptica Ghost Triops. 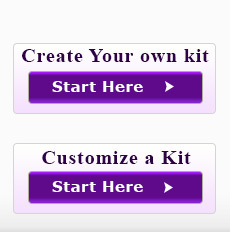 It's a perfect starter kit or refill for our larger kits. 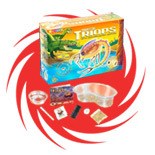 PRODUCT DESCRIPTION This kit contains everything you need to grow Trioptica Racing Triops. It's a perfect starter kit or refill for our larger kits. 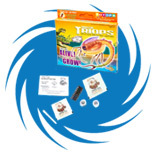 Our Triassic Triops® products are an award-winning line of educational science kits that feature playful shrimp that look like horseshoe crabs and date back to the Triassic Period in fossil records. Millions of kids have brought these prehistoric monsters -- also known as dinosaur shrimp -- back to life simply by adding water to the eggs of these “living dead” wonders!